Have you noticed that most rock bands have some kind of “rock on” anthem or power ballad? Now, I’m not squawking about the wannabe tunes voiced by those boy bands and pop princesses. No, no, no, I’m rocking on about the timeless ballads from the real rockin’ bands, you know — The Rolling Stones, Bon Jovi, Def Leppard, AC/DC, and Led Zeppelin. These guys are memorable. They hook you into buying their album. They make you want more. Besides, they all have really great hair. So where am I going with these hair bands and power ballads? I’m getting hair, err, there. 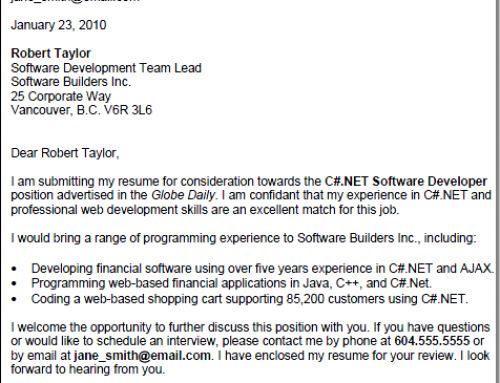 The point is, you want to rock your cover letter to hook the reader into hearing your tune. Since your cover letter is your first introduction to a prospective employer, it’s got to be voiced to perfection, demonstrate how well you write, and give some insight into your personality. You’ve got to entice the employer to play your song by showing them you can carry a tune. If your pitch sounds more like background elevator music, chances are you won’t get any radio play and will have to face the music. So here’s how to skip being a broken record by turning your cover letter into music for the hiring manager’s ears. The best rock songs are what, 3-ish minutes long? If you want to write a hit then you’ve got to have a hook and keep it short. Rambling on for more than a page is not how you go about writing a classic cover letter that gets you the job interview. Besides, your cover letter must sell you in seconds and show how you contribute to the position at a glance. To help you keep it brief, focus on using quantitative facts and figures to show your stuff and learn to love white space. These Resume Do’s show you how to do it. Good grief, please be brief. Song writers get into big trouble if they “sample” another artist’s tune. In today’s world of copyright infringement, bands must write original works to get a true chart topper. And so should you. Hiring managers are truly tired of hearing the same old song. So stop being lazy and use your creative thinking to write a custom cover letter. It’s not hard to create a new cover for each job application you send out. Promise. After a few tries you’ll see that cover letter anatomy is similar across the board, but by taking the time to tailor your letter to a specific job you will increase your chances of being called for an interview. Search the company’s website, read its promotional materials, or just talk to people who work there to get a sense of what skills the organization looks for in employees. Tailor your cover letter around what you find. Mentioning specific details about the company or position shows you’ve done your research and that you care enough about the job to go the extra mile. So don’t just download a bunch of cover letter samples and then send them off — customize them with your unique skills and voice! Rock star power ballads are not meek little wall flowers looking to hide in the shadows. No. Rock anthems are strong and triumphant tunes with the single goal of persuading you to do something — like getting laid. It’s true. Most are about some guy trying to get some girl to sleep with him. But I digress. The truth of the matter is power ballads are persuasive, and they work. You may not want your cover to get you laid, but you do want it to land you the job interview. So find your 6 action words and learn to use your 8 custom keywords to knock the pants off your hiring manager and persuade them to call you. Don’t be afraid to write your cover letter in the first person and drop a few “I’s” into the mix. Your cover letter is a type of introduction, so go ahead and introduce yourself by telling the hiring manager why you’re right for the job. Writing sentences like, “I welcome the opportunity to meet with you for an interview” and “I am very interested in Initech Corporation’s Technical Writer position and believe my skills and experience are an excellent fit for the job” may just be the type of rockin’ introduction you need to land the interview. Besides, rock stars refer to themselves in the first person in songs all the time. It’s how they get noticed and land the chicks. Rock on! Forget about your last employer and don’t explain why you are leaving your present job. Instead, detail why you want this job. Do you like the company, the projects, or the type of work? Are you interested in being creative, mathematical, or learning the law? If there’s something special about the job that interests you then please, tell the reader why you’re applying. Getting specific and spilling a secret desire is what rock stars do. So be a star and tell the hiring team why you’re the right rocker for the role. Who doesn’t love a classic rock star. They all sing powerful songs, have a unique voice, and coif really great hair. So it makes sense to me to borrow from the chart toppers and write a cover letter that really rocks the socks off any prospective employer. Yes, I really wrote, “rock the socks off”. Anynuttyblogger, hopefully you’ve got it covered by including most, if not all, of these “five rockin’ things” in your cover letter. If you’re looking to become an all star resume writer though, check out these other rock star ways to help you land that job interview! 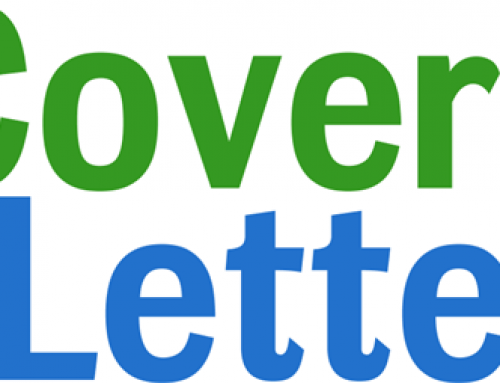 Your Turn: Share your rockin’ cover letter advice. 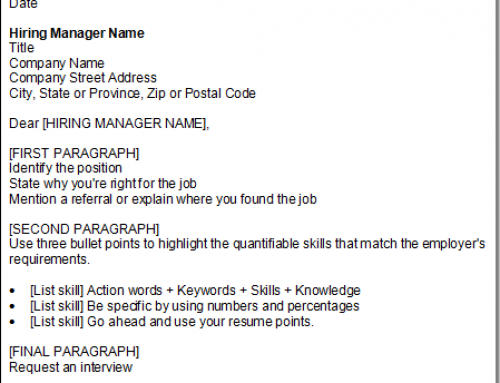 Have you written a cover letter that rocked the socks off some unsuspecting hiring manager? I’ve always found that saying “I have no child care issues.’ works for me, because they’re not allowed to ask it. I think it’s important to be brief brief brief and direct. As a person why interviews people regularly, it pains me to see an overly wordly cover letter. Maybe it’s a cultural thing, but I honestly don’t think any of my employers (granted, I’ve only had 2) or anybody who interviewed me where I now live ever read my cover letters, because they’ve all wanted to know whether I need a work permit (no) which is something that I write on my cover letter. Employers can be different. 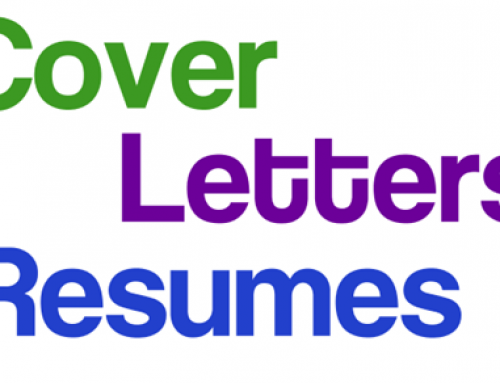 At times, some employers read only the cover letters, some employers read only the resume first. I am guilty of just focusing on the resume first when I am hiring staff, but I do read the cover letters second. Main thing is to remember that the cover letter is a business letter, be professional, get your point across clearly and don’t be too wordy.